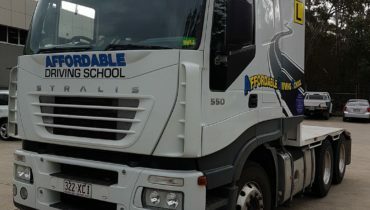 With over 25 years’ experience in truck driver training, Affordable Truck School are the first choice for the truck driving industry when looking to gain their HC licence in QLD through quality HC truck lessons across both the Southside and Northside. 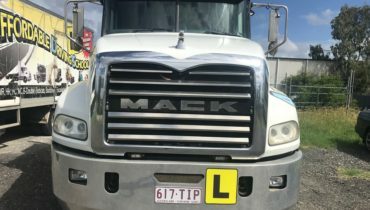 We strive to provide the most effective heavy combination truck lessons across Brisbane and the Gold Coast, with our instructors proudly having an impressive first-time pass rate for licence tests. By providing a range of pre-arranged tests with Queensland Transport as well as Saturday lessons, we aim to give everyone a chance to get their truck licence with the smallest wait time possible. We also offer a range of MC, MR and HR truck licence tests for QLD drivers – simply get in touch to find out more today. We have pre-arranged tests with Queensland Transport, so the wait is minimal for you. Saturday tests are also available. What Lessons for my HC Licence Should I Choose? Although HC Auto and HC Synchro are restricted licences, the HC unrestricted test is conducted using crash box transmission with double clutching, which means you can drive all three transmission types. 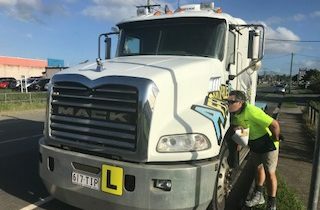 If you need to find out more about which licence type suits your interests, enquire with Affordable Truck School prior to your heavy combination truck lessons at our driving schools across Brisbane or Gold Coast. To upgrade your licence to a heavy combination licence (class HC) you must have held either an MR – Medium Rigid or HR – Heavy Rigid truck licence for at least 12 months. A truck (more than 8t GVM) with a trailer of more than 9t GVM. A prime mover (more than 8t GVM) with a trailer of more than 9t GVM (semitrailer). A specially constructed vehicle, including a tractor (more than 8t GVM with more than 2 axles), with or without a trailer of not more than 9t GVM. A HC licence obtained through lessons from out truck driving schools can open up many job opportunities in the transport and logistics field as well as many other fields of work. HC licence is useful to have for delivery drivers, interstate and local freight distribution drivers to name a few. Our HC truck driving lessons are available across the Southside and Northside for your convenience to allow you to gain your HC licence to suit any location in QLD. 6 hours practical one on one training. Transport and main roads practical test. This package is ideal for experienced HC drivers who are currently driving HC under supervision on the roads and/or hold a HR licence or only looking to upgrade to an unrestricted HC licence. Any addition practical training required is $130 per hour. 10 hours practical one on one training. This package is suitable for students with limited truck experience and those that hold an MR or restricted HR licence. $130 per hour – if you require any further practical training. $480 If you need to resit a test and that comes with 2hrs practical training before test. Whether you’re based in Brisbane or the Gold Coast, our truck driving schools are conveniently spread across QLD to allow you to get your HC licence wherever suits you best. Book your lessons with Affordable Truck School today.